Galapagos: Cruise or Island Stay? When it comes to planning an unforgettable vacation on the Galapagos Islands, many prospective visitors will invariably ask themselves one question: should I book an all-inclusive cruise or stay on a few of the islands and organize day trips from there? If you were to ask anyone who’s already visited, the answer would invariably be: ‘cruise it!’ and, although we can see some benefits to an island stay in the Galapagos, the cons far outweigh the pros, in our humblest of opinions. Let’s face it, there are cheaper places to visit than the Galapagos Islands yet none that are more worthy of the expense. These are the world’s most fascinating and captivating isles, brimming with unique and interesting wildlife, crazy beautiful wilderness and gifting an ‘out of this world experience’ no other holiday destination can rival. In short…the Galapagos Islands are worth their weight in platinum. Although you will save some funds by opting for an ‘island stay + day trips’ combo, you’ll still have to fork out for your airfares, national park entry fee and inflated prices for food and accommodation because, after all, you are on the Galapagos Islands. A once-in-a-lifetime visit of the Galapagos Islands may not be the cheapest experience you will ever have, but it will be the most priceless. If you can afford to fly here then dare we say you go for gold and get the full island cruising experience. There are some fantastic day trips you can take from quite a few of the islands, yet the sailing time which cruise passengers normally take overnight, to get from island to island, will have to be done during the day. This can severely cut into your sightseeing time. If anything, the biggest con here is not even so much the boating time, but the fact that you won’t reach your intended destination until at least midday, at which the time the sun is at its highest, the heat at its strongest and the animals at their most placid. Each of the Galapagos Islands is unique and boasting very particular landscape and wildlife. By staying in one spot, or even two or three, you will only be exposed to a small fraction of this very varied ecosystem. If you choose an island stay, you’ll need to do some research to ascertain what is where, which animals are on which islands and, more importantly, make a list of your personal priorities. 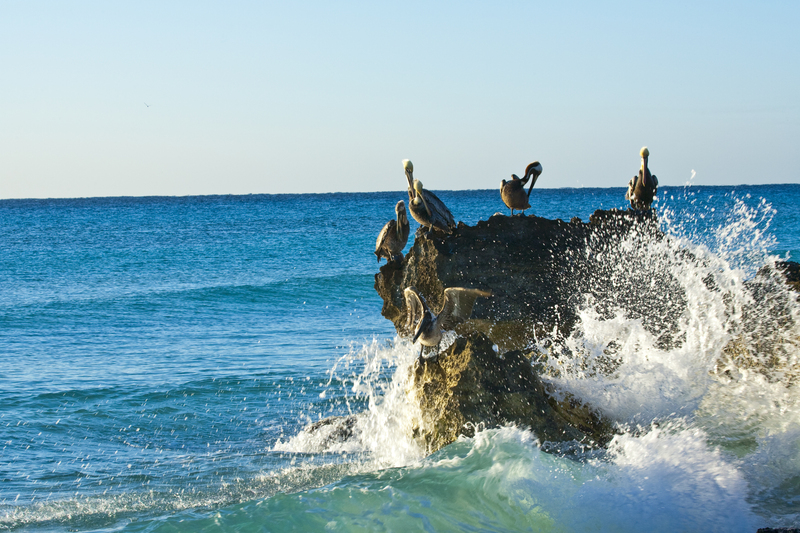 For example, flightless cormorants are only on Isabela and there are very few day tours which can take you there. None make it to Fernandina, so if either one is an absolute must-see for you then cruising will be your best and only option. A visit to the Galapagos Islands offers the ultimate mind, body, and soul experience, where every single one of your normally overworked senses has a chance to completely switch off from your no-doubt hectic, modern, fast-paced life. On a cruise, you get the enviable chance to experience life without traffic noises, large crowds, and everything that goes along with our modern world. You float, in sublime quiet, away from any kind of commercialization and completely surrounded by pristine nature. The habited islands on the Galapagos may not be as busy or crowded as Rio de Janeiro or Buenos Aires, yet they nevertheless are inhabited and visited by a large number of people. If you want to really ‘get away from the world’ for a few days, you’ll only have this chance for a few hours every day, when you head off on day trips. 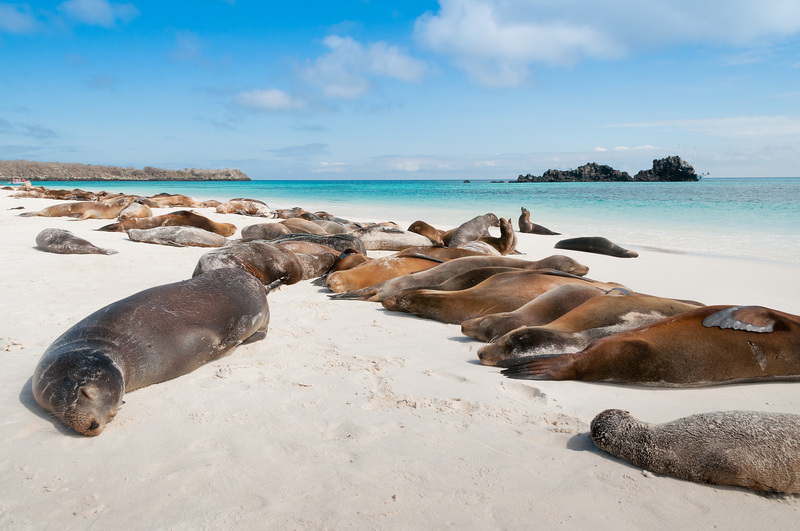 The Ecuadorian Government has long-since recognized the need to limit the impact of the tourism industry on the wilderness and wildlife of the Galapagos Islands. It restricts the number of boats and cruisers which are allowed to sail here, and the number of visitors which are admitted at any given time. Luckily, most visitors are also likewise concerned with their own impact on the unspoilt islands. By choosing a cruise over an island stay, your ecological impact will be lessened, since you will not be contributing to the building of dining and accommodation establishments. 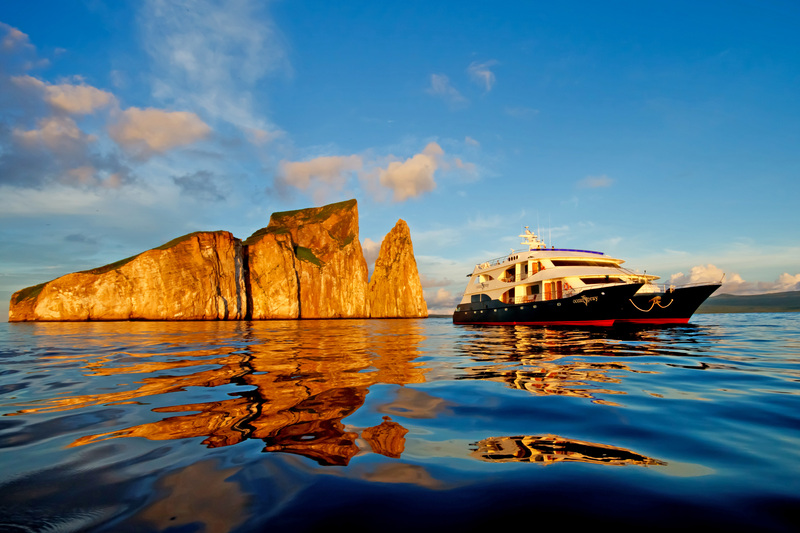 All Galapagos Islands cruising boats have set itineraries which have been designed to get the most out of your sailing experience. Once you book your preferred boat, you’ll need not worry about anything else. When you go it alone, either by island hopping (on the inhabited islands) or basing yourself in one spot and taking day trips, you’ll need to be meticulous with your planning. Not every day-trip runs every day, some islands are only accessible from certain ports and others are simply too far to reach in a single day, depending on where you stay. The logistics of an island stay vacation can be a headache although if you love a challenge and are determined, you can certainly also plan a great visit on your own. Just know that it will take considerable effort. On a straight-down-the-line list, there are few doubts that cruising the Galapagos Islands is a much better option than picking one or two base points and day-tripping instead. However, for the sake of objectivity, we do wish to mention a few rare instances where the opposite is true. If you are a budding photographer and wish to extensively research only one type of wildlife or natural landscape, then an island stay may actually be your best option, as you’ll have more freedom to keep returning to that one place which you love best. Moreover, if you’ve been dreaming of visiting the Galapagos but have a fervent aversion for sailing, then an island stay may well be your only option. Enjoy one of the islands into which you can fly or, at best, pick a day trip which includes a minimal amount of travel by boat. The most important point to make, as far as we’re concerned, is that any time spent on the Galapagos Islands is an utterly unforgettable experience. No matter which option you choose, your adventure on the Galapagos is bound to leave you with incredible memories you’ll cherish forever. So choose the travel style that’s best for you, and discover why we think this is one of the world’s most spectacular treasures.